What Is a Contingent Beneficiary and Why Would You Need One? A contingent beneficiary is someone or something that receives the benefits of an account if the primary beneficiary can't or won't do so after the account owner's death. Contingent beneficiaries stand in the wings, next in line to inherit if something should go wrong. Think of them as a backup plan. Contingent beneficiaries can only inherit if the primary beneficiary does not. The account manager will release the asset in question to your contingent beneficiary if your primary beneficiary can't be located, declines the inheritance, isn't legally able to accept it, or predeceases you. When you invest in a beneficiary-named financial account, such as an individual retirement account (IRA), a 401(k), or an insurance policy, you should name the individual or institution you want to receive the assets in the account when you die. These are designated as your primary beneficiaries. You can name more than one primary beneficiary and more than one contingent beneficiary—you're not limited to one of each. You can allocate percentages for each beneficiary, specifying what portion of the account they should receive or inherit. For example, you might name your spouse as the primary beneficiary of 100 percent of the account, and your two adult children as contingent beneficiaries to receive 50 percent each. You might also name your spouse as the primary beneficiary of 50 percent of the account, with your children each named as 25 percent primary beneficiaries. You can even name a nonprofit charitable organization as your primary or contingent beneficiary, although you'll probably want to talk to an account representative or tax professional about how to go about this. The point is, you can dice it up any way you choose. Keep in mind that the individuals you name as contingent beneficiaries must also be legally able to take possession of the asset in question in the event of your death. Otherwise, it undoes the whole purpose. Don't designate Fido, no matter how much you love your pet. It can create problems if you name your minor children as well, because they can't accept the gift until they reach either 18 or 21, depending on state law. A legal guardian must be appointed to accept the money on a minor's behalf and manage it until she reaches the age of majority. Again, this causes court-involved consequences you were probably trying to avoid. You're not locked into your beneficiaries for life. Contingent beneficiaries and primary beneficiaries can easily be changed unless the account is irrevocable, and some insurance policies and trusts are. But if you want to change the beneficiaries on an IRA or 401(k), it can be done quickly and easily—sometimes even online. It's usually just a matter of completing a form. Contact your IRA custodian to make any necessary changes. Contact your plan administrator if you want to make changes to a 401(k) or other employer-sponsored retirement plan. It's important to keep your beneficiaries up to date at all times. They should know they're beneficiaries—either primary or contingent—and they should have identifying details of what they're inheriting. It's often up to them to make claims for the assets in question when the time comes. And you might want to revisit your beneficiary elections periodically to make sure they still fit your current stage of life. The need to update your beneficiary information typically occurs after major life changes, such as a marriage, birth, divorce, or a death in the family. 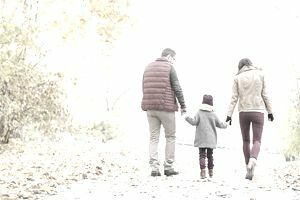 Another reason to update beneficiary information is that you might have simply changed your mind about how you want to strategically pass on wealth to other family members. What If You Don't Designate Any Beneficiaries? Accounts with beneficiary designations are often referred to as "will substitutes." Your selection of a beneficiaries overrides any instructions you might leave in your will for the same assets. It's not required that you name either primary or contingent beneficiaries, but it will avoid having these assets end up in your probate estate if something goes wrong, potentially complicating it and costing your estate additional money to settle. The larger your probate estate, the more complicated and expensive it becomes to settle, costing your beneficiaries money. The content on this site is provided for information and discussion purposes only, and should not be the sole basis for your investment or decisions.